I want you to know how grateful I am that you’ve stopped by my little corner of the web and have taken an interest in Crave Pie Studio. It means a lot to me. 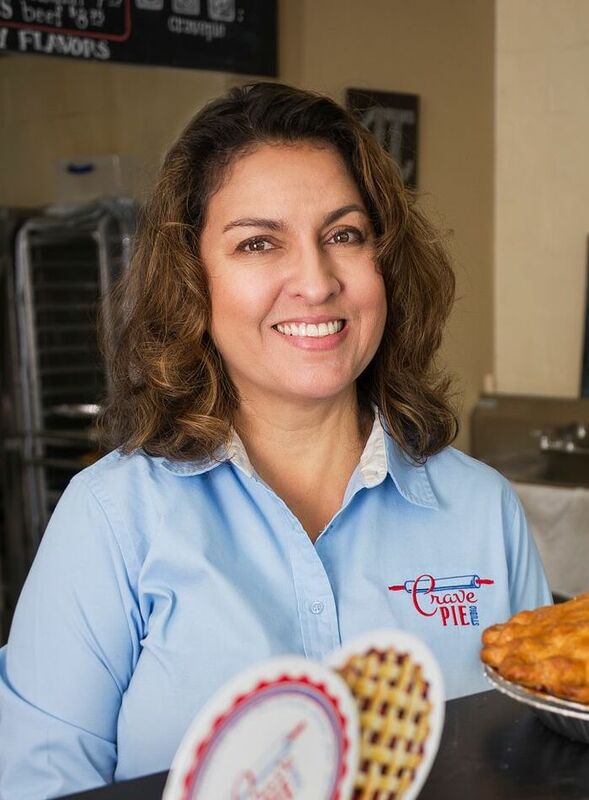 Crave Pie began in 2010 when, after being laid off from a corporate job of 20 years, I found myself standing at a crossroads. I could, I realized, continue down a familiar path that I knew led to a place which would not make me happy or I could, in the words of Robert Frost, take “the road less traveled” into the unknown. Faced with that decision, I decided to go to culinary school. I entered Gwinnett Technical College with a passion for savory cooking and a complete disdain for baking. I hadn’t learned how to bake at my grandmothers side, nor did I inherit family heirloom recipes like many bakers do and so I dreaded Baking 101. However, I chose to forge ahead in the face of my fear and for the practical final exam I baked an apple pie from scratch. As fate would have it, that experience would prove pivotal in my journey. Suddenly my disdain for baking was gone and I found myself entirely enchanted with all things pie! I fell in love with pie, its versatility, and the endless possibilities that present themselves... from sweet to savory, and from season to season. After deciding that I wanted to devote my energies to pie creation, I left school and spent the next 9 months learning and practicing the craft. Then, one day I received a gift that would change my life. Just a few days before my husband, Greg, was to be deployed with the Army National Guard, I walked into my kitchen to find a huge industrial sized garbage can with a bow on it. Putting aside my initial irritation that he had put a gigantic garbage can in the middle of my kitchen I opened the lid and discovered that it was filled with professional pie making tools! It was in that moment that I knew it was time to take action and follow my passion, so I put my trust in God and took a leap of faith. Nothing brings people together quite like food prepared with love. Today, nearly a decade later, Crave Pie Studio stands in historic Downtown Duluth spreading The Good News of Pie and striving to make the world a better place by bringing people together. One pie at a time. I truly hope to see you here soon. Interested in becoming one of our amazing partners? Drop us a line!